“I believe in skin care products formulated from food-grade ingredients.” Elina often demonstrates this by eating her products during presentations. Before coming to the United States in 1991, Elina transformed her acne prone skin into a glowing example of the power of natural healing. She’s now the CEO of Elina Organics with clinics in Chicago and Kalamazoo, Michigan. Elina’s handmade, professional skin care products are available in spas and medical offices across the United States and abroad. Her Chicago skin care clinic was named one of the best spas by AOL City’s Best Chicago and was also profiled in Les Nouvelles Esthétiques & Spa Magazine. 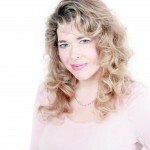 Keeley Lore is a licensed Master Aesthetician in Northern Virginia. She has extensive training in advanced face and body treatments and holistic skin care techniques. She is also a Certified Natural Health Professional, a Nutritional Response Practitioner, internationally trained in Medical Foot Care, Reflexology, Acupressure & Massage Therapy, and has a Master’s Degree from Western Michigan University. 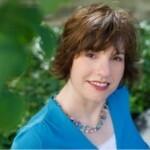 Keeley specializes in approaching beauty holistically by encouraging restoration of internal and external health. She provides whole body services related to whole food nutrition and natural relaxing, revitalizing, and rejuvenating facial and body treatments specifically designed for each individual. Shannon, Doctor of Oriental Medicine, specializes in holistic skin care and women’s health at her clinic, Beauty Through Balance, in Santa Fe, New Mexico. Because of this realization, Shannon incorporated topical skin treatments into her medical practice. Elina’s Herbal Skin Care and cold laser have become a fundamental part of treating her clients in a true holistic manner. “Treating the body internally with acupuncture, herbal medicine, and supplements as well as the topical application of Elina’s wonderful, organic, healing ingredients have completed the holistic skin care picture for me,” shares Shannon. Shannon hosts seminars on Oriental Medicine basics, and how meridians and points can be used in a skin care environment without needles. A licensed esthetician for over 17 years, Shelley R. Brooks focuses her skin care practice with a holistic approach. She has had extensive advanced training over the years and still feels passionate about skin care. Her natural approach to health and aging empowers her clients to embrace their own inner beauty. She lives in Alameda, Ca. Shelley is often a speaker at the AHSCP conferences and her advice is featured as part of a panel of experts in the book, Cortisol Control and he Beauty Connection, by Shawn Talbottt, Ph.D.
Dr. Hegstrand’s role to provide education regarding what is important for health on a physical level in relation to the energetic level, complimenting Dr. Kronn’s work. She also evaluates products and procedures to ensure they meet Association criteria prior to endorsement. One of her specialty areas is kinesiological testing. Dr. Hegstrand is a board certified and licensed medical doctor who received her MD and PhD in Biochemistry from the University of Wisconsin in Madison. 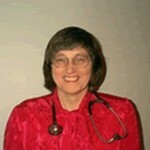 She is a member of the American Academy of Environmental Medicine and the International College of Integrated Medicine. Dr. Hegstrand’s vision is to help her patients restore and maintain complete wellness by blending the best of both natural and modern medicine. 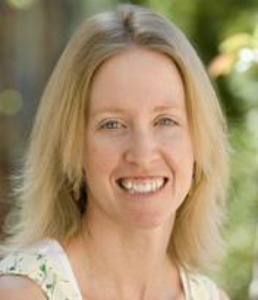 Erin is an educational icon known for her expertise in wellness, dermatological skin sciences and holistic aesthetics. 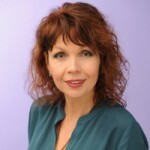 Her 30 plus years of experience in the aesthetic and natural health industry position her as a visionary, strategist and a leading authority in aesthetic & holistic skin sciences. Her distinctive vision for naturopathic aesthetics came to fruition through the research & development of her practicum in dermatherapy, and establishing her practice – Naturophoria. Erin is a Certified Dermatology Tech, a Georgia State licensed aesthetician & aesthetic instructor, national guest lecturer, and has authored many articles for the aesthetic industry’s top trade magazines including: Skin Inc; Dermascope and Les Nouvelles Esthetique. She was the lead aesthetician for the Center For Plastic Surgery in Atlanta, GA providing oncology skin care. pre & post op aesthetic care, and paramedical camouflage makeup rehabilitation for surgery and burn patients. 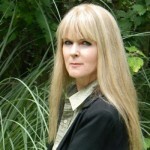 Her work in this area continues as a distinguished member of the British Association of Skin Camouflage in the UK. Erin is also a graduate of the Pacific Institute of Aromatherapy in San Rafael, CA a Nationally Certified Health Professional, holds a Bachelors of Science degree in Natural Health, a Master of Science degree in Holistic Nutrition, and a Doctorate in Traditional Naturopathy. Dr. Madigan-Fleck received her Naturopathic Medical Doctoral Degree from the University of Science, Arts & Technology College of Medicine. She served her clinical naturopathic residency at Progressive Medical Centers of America in Atlanta, GA. Erin is a member and a candidate for fellowship of the American Academy of Anti-Aging and has earned certification with the Georgia Board of Naturopathic Medicine. Dr. Ide is the director of Western Michigan University’s Environmental Research Center and Environmental Institute. how the activities of specific genes serve as biomarkers of exposure and damage in studies that assess risks associated with the presence of pollutants in aquatic ecosystems. Dr. Kronn’s role is to educate the Board and AHSCP members about energy and the vital roll it plays in the body’s ability to heal itself. He also provides analytical expertise on evaluating and recommending equipment safe for use. 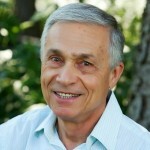 Dr. Yury Kronn is a leading researcher, theoretician and inventor in the field of Subtle Energy and Subtle Energy technologies. He was educated as a physicist in the former Soviet Union at Gorky University, and was unanimously awarded a Doctor of Sciences degree by the Scientific Committee of Lebedev’s Institute of Physics. Dr. Kronn has been recognized worldwide as a contributor to the field of non-linear quantum radiophysics. He developed the comprehensive theory of quantum nonlinear interaction of coherent electromagnetic fields with atoms and molecules, and co-authored the definitive book in his field (Nonlinear Resonant Interactions of Light with Matter). He has published more than 75 scientific articles. In addition, he developed the theory of multi-photon lasers and contributed to the theory of laser-stimulated chemical reactions. In supervised applications of his theory, he also created the world’s first four-photon tunable laser frequency converter in the infrared range. He continued his education with years of research into the eastern medical traditions. Scientific research has proven that his technology has the ability to create, record, store, and reproduce subtle energy patterns. He is the chief scientist for Energy Tools International, LLC, which sells energy infused products to health care practitioners worldwide. Dr. Oppenlander is inspired by the desire to help people achieve optimal health and provide them with the absolute best that dentistry has to offer. He is a doctor of dental surgery and graduate of the University of Michigan. Over the years, Dr. Oppenlander has treated thousands of individuals, staying on the cutting edge of technology, and acquiring hundreds of hours of advanced training. He brings his depth of experience and innate concern for overall health and comfort to each and every treatment. Dr. Oppenlander presents a refreshingly unique and artistic approach to dentistry by combining beauty and strength in his restorations and the smiles he creates. He is a member of AACD (American Academy of Cosmetic Dentistry), AGD (American General Dentistry), ADA (American Dental Association), MDA (Michigan Dental Association), AAID (American Academy of Implant Dentistry), and KVDDS (Kalamazoo Valley District Dental Society). Dr. Oppenlander also created Ope’s—a business and philosophy. Ope’s is about improving life… by providing the healthiest and best-tasting food possible. Every food item that Ope’s produces promotes optimum health for you, has a positive influence on our environment, and is created with the highest-quality organic ingredients without containing meat, lactose, or added fats (such as saturated or trans). For the past 28 years, Dr. Oppenlander has studied nutrition, the implications of our dietary choices on the environment, and our food industry. From that research evolved a broader understanding of the enormous impact our food choices have on many aspects of life. Also apparent is the need for healthier food options and more accessibility than what is currently available through fast food outlets, academic institutions, hospitals, and conventional retail outlets. So Ope’s was created to offer a new mode of quick-service restaurants, food options that we all deserve, and a new program to increase the awareness of the effect our choices have on our planet. Ope’s creates food with a distinct philosophical base. Simply, we are committed to improving the health of our planet and the health of all life that inhabits it. Alan M. Dattner, MD has been a pioneer for over 30 years in integrating nutrition, dermatology, Applied Kinesiology, and holistic medicine into the practice of dermatology. He was one of the founding members of the American Academy of Dermatology’s groundbreaking Task Force for Nutrition and Evaluation of Alternative Medicine and is a board certified dermatologist. He has written several scientific articles on nutrition and herbal medicine in dermatology. 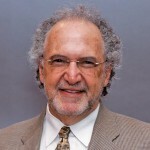 He has lectured locally, nationally and internationally to both dermatology and CAM organizations, and has been quoted in numerous popular magazines and The New York Times regarding his work. 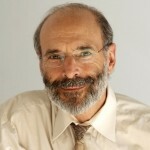 He has a strong background in research methodology and 47 years of experience in the science of cellular immunology. More specifically, he elucidated key concepts linking environmental factors to inflammatory disease, during 3 years of investigation of human lymphocyte recognition at the National Cancer Institute. Results of this work are published in peer review journals and were presented by Dr. Dattner at plenary sessions of the Society of Investigative Dermatology. 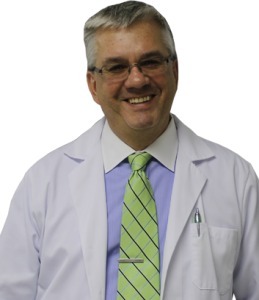 Dr. Andrey received his medical degree upon graduation from Kharkov Medical University in the Ukraine in 1987. After graduation, he worked for six years as a general and trauma surgeon. In 2004, he earned his Doctor of Osteopathic Medicine (DO) degree from the New York College of Osteopathic Medicine. Following graduation, Dr. Lutskovsky moved to Michigan for his residency; and he decided to make it his new home. Since 2009, Dr. Lutskovsky’s primary focus has been on Prolotherapy and other injection based treatments of pain. He has attended numerous conferences and workshops around the country to improve his knowledge and skills in providing Prolotherapy injections. 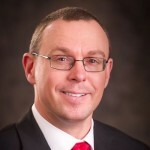 Dr. Lutskovsky is an active member of the American Osteopathic Association of Prolotherapy Regenerative Medicine (AOAPRM), the American Osteopathic Association and the Michigan Osteopathic Association. Dr. Mark Gerold, MD is a Family Medicine board certified physician. He attended Michigan State University for medical school, and North Oakland Medical Center for his residency. He practices allopathic medicine, but he has an immense desire to learn about natural approaches in healing. 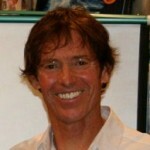 He creates protocols for different conditions with natural healing for clients that are open to natural healing. He practices with a mind, body, spirit integration in healing. He sees the full age spectrum of clients.